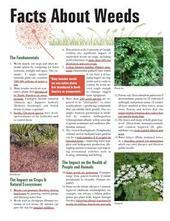 The Weed Science Society of America (WSSA) announced earlier this month several new or updated educational publications about weeds and weed impacts that will be of interest to both the scientific community as well as the general public. Over the past several years, land managers and ranchers in Marin and Sonoma counties have been concerned with the spread of woolly distaff thistle (Carthamus lanatus). However, there is very little research conducted on the control of this species. Because of the lack of direct information on its management, land managers have relied on information previously published on yellow starthistle (Centaurea solstitialis). 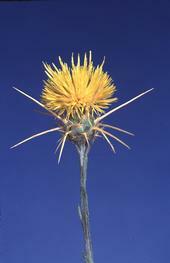 Yellow starthistle is a related species with some phenological similarities to woolly distaff thistle, but it does not provide a perfect analogy. 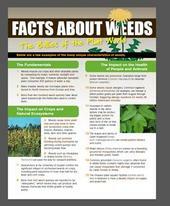 The Weed Science Society of America (WSSA) Public Awareness Committee with contributions from WSSA members, released a new fact sheet on weeds. The press release text is pasted the text below (in black) or you can click HERE for the direct link. Click here for a link to the pdf.